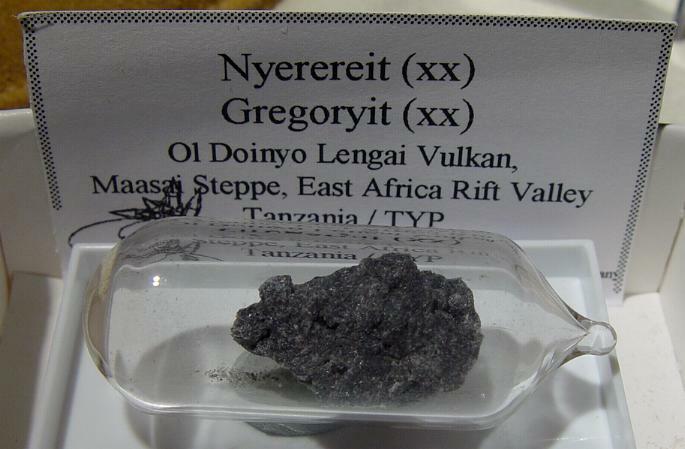 Comments: Sodium (nyereteite) and potassium (gregoryite) carbonates, not stable in normal atmosphere, collected molten from the volcano and maintained in inert argon atmosphere. Location: Ol Doinyo Lengai Vulkan, Maasai Steppe, East Africa Rift Valley, Tanzania. See Link. Scale: Rock size 2 cm.